Burj Al-Luqluq Social Center Society, in collaboration with Al-Bustan Center, Bedouins Baba Mountain gathering and Beit Hanina Jerusalemite Academy for talented footballers, launches five summer camps within the period between 1-15 of August 2016. The camps were funded by the General British Council in Jerusalem, attracted 500 Jerusalemite children from diversified territories, targeted 100 participant from each club and attracts participants from Burj Al-Luqluq and Bab Hutta Nehiborhood. 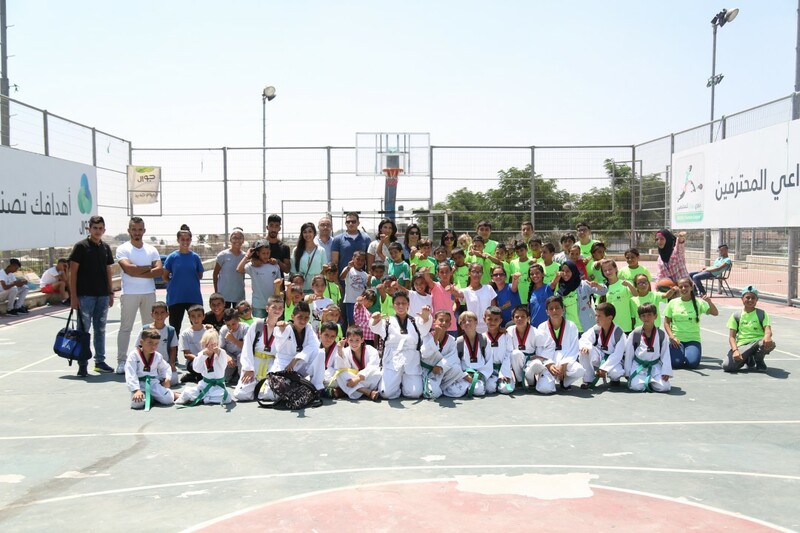 The five summer camps focused on sport practices and life skills sessions for Jerusalemite children whom are residents of territories with neglected services, activities and community events. Within the camps, multiple entertaining tours were organized for psychological discharge and changing the routine for these targeted children. Moreover, sport kits were distributed for participants in addition to bags full of hygiene stuffs such as creams, soup and towels and children were informed about the importance of maintaining body’s health and purity.